Last night, we held our third the dictionary project presents! reading at Casa Libre en la Solana. 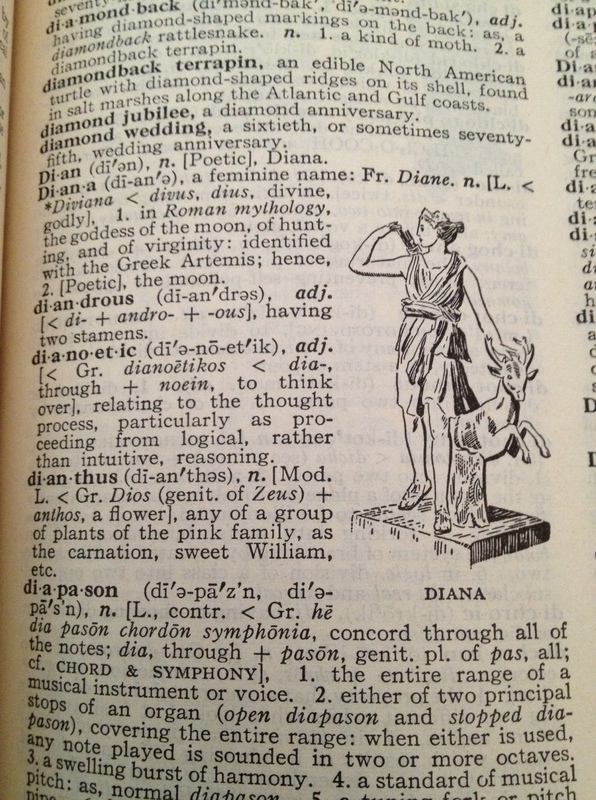 And we finally revealed the word that our writers and readers had been working with for two weeks: Diana! 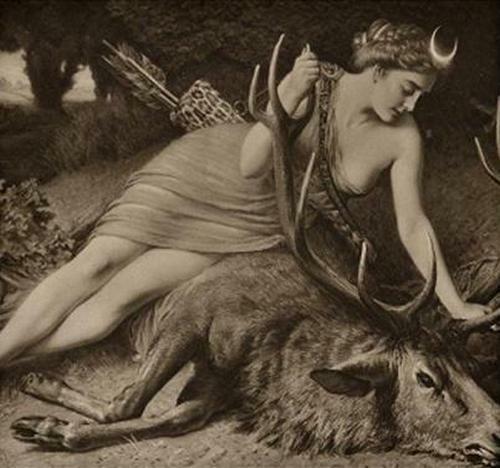 We were all grateful for having to engage with Diana: Roman goddess of the hunt, of the moon and childbirth, of all things wild. One of the most exciting things about our reading series is assigning the same word to a group of writers and seeing the different ways these brilliant minds and hearts experience and interpret that word. I am grateful to Ian Ellasante, Hannah Ensor, Kindall Gray, Tc Tolbert, and Teré Fowler-Chapman for their writing and for reading last night. And I am grateful to everyone that came. We will post photos and videos soon from the event, but in the meantime, I would like to share with you the piece I wrote as an introduction. Wishing you a beautiful day. As many of you know, whenever I bibliomance a word for tdp, I close my eyes and run my finger through the dictionary and then over a page. 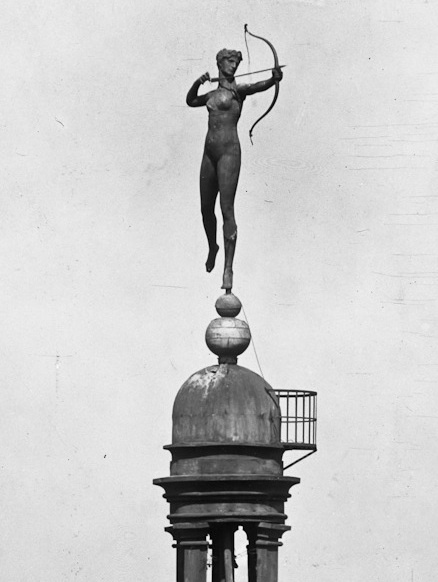 This time, I landed on the image of Diana. In yoga asana practice, there are several poses named warrior. In my favorite warrior pose—I say favorite because I’m not holding the position for several minutes now—the right leg lunges forward, knee bent, while the back leg is straight and sturdy, giving the illusion of stillness even as the muscles are working and the tendons wrapping strong around bone. Arms are outstretched in a T-shape with palms facing down, hips positioned to the side. Shoulders are released. And the chest, the chest is open. The first hundred times I did this shape, or any warrior shape for that matter, I focused on where I felt weak. My arms ached. My legs shook. Holding the position for any length of time felt impossible. Years later, I have a different relationship to the pose. Instead of noticing my weakness, even though the pose is challenging, I can instead embrace my strength. I can feel my feet and legs holding me up. I can radiate out from the extension in my arms. I can be aware of my chest as it continues to press into the air, opening. I realize now that the challenge of the pose also reveals my capacity to hold it, but first I have to choose to see it that way. All week I have been thinking about the different meanings of the word warrior. I have been tuned in to the presence of violence and the threat of violence, in our country and in the world. First, with the horrible bombings at the Boston Marathon that resulted in the death of three and injury of almost one hundred and fifty. Second, with the news of car bombs in Iraq that killed at least thirty-three people. I listened to politicians and advisors talk about the difference between the word “terrorism” and “murder” on The Diane Rehm Show. I heard a filmmaker talk to Terry Gross about how he survived an IED when he recorded footage on the frontlines in Iraq and about the documentary he just finished about his partner filmmaker who was killed from a shrapnel wound while filming the uprising in Libya. Then, I read and heard about the Senate’s decision not to pass revised gun control legislation that would require background checks before purchasing these weapons, and the responses of both our president and victims of gun violence saying “shame on you.” And finally, yesterday and today, I have watched the unfurling of armed robbery and gunfights and gun deaths and the ongoing manhunt as Boston police search for the surviving suspect of the Boston Marathon bombing. Perhaps by the time I read this, in front of all of you, he will have been found and thus we will have someone to hold accountable. Perhaps we will have some resolution to one particular tragic event that harmed so many and incited fear and anxiety in even more. And without lessening the burden placed on those that committed all these individual atrocities, the truth is that every one of us is accountable. We are accountable for living in a culture where power and privilege aren’t always used mindfully but instead used with arrogance and thoughtlessness. Accountable for when we choose aggression over talking things through. Accountable for valuing purchasing more and more objects over spending time with our neighbors. Accountable for electing people whose job is to protect us and who have made decisions that do exactly the opposite. Accountable for every word said in anger, every aggressive face or hand gesture made while driving. Accountable when we harm ourselves or others, when we do not live up to our best potential. At one point or another, we are all guilty of being the wrong kind of warrior. I grew up in the South, in a city built on the backs of slaves, and in a time when I could count the African-American women who attended my private Catholic school with me on two hands. There were firm divisions by race in this town, ones I was never asked to question but merely recognize and keep. In every unspoken gesture, I read clearly who I was supposed to be friends with and how I was supposed to be. It took going to a poor bordertown in Mexico when I was ten to show me the devastating impact of poverty, as I witnessed children my age begging on the streets, because I never went to neighborhoods where I would have seen it in my hometown. Life was constricted not only by issues of race and class but by issues of gender—by pantyhose, by scripture passages, by too few female role models giving permission by their presence for me to be creative and curious and strong. For a long time, I struggled to reconcile my femininity with my strength, so entrenched in me were the values of my culture which said that these things could not exist in one person, in one body, in a woman. 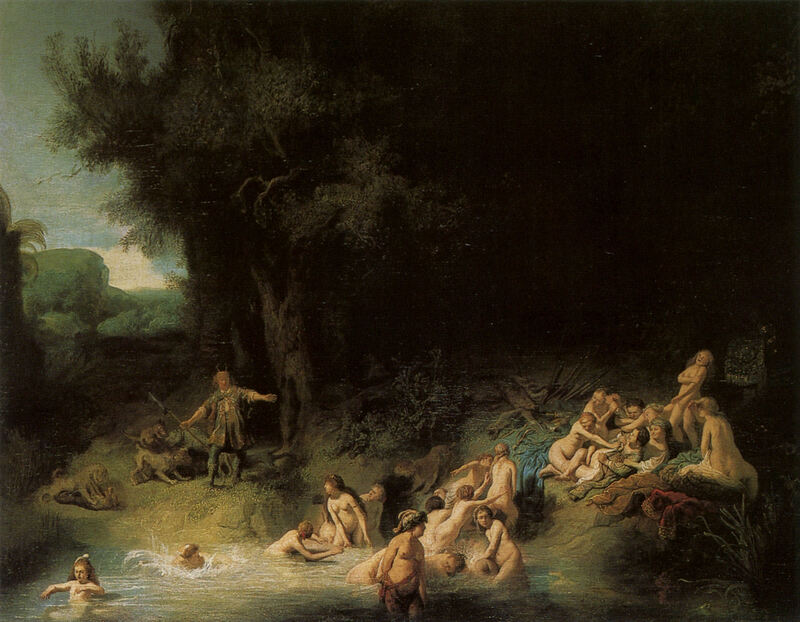 My freshman year of high school, I was assigned Edith Hamilton’s Mythology. The front cover of the paperback was black with bold white letters and an image of a man riding on the back of a winged horse. I had been an avid reader since early childhood so I was familiar with stories, but these struck a new note. These were mythological figures that I was allowed to think of as icons (as was not permitted with biblical ones). Here were stories I needed. They were the stories of men and women, trying and failing and trying and failing again. They were the stories of gods and goddesses, all of whom had tremendous power and inevitability colossal flaws. 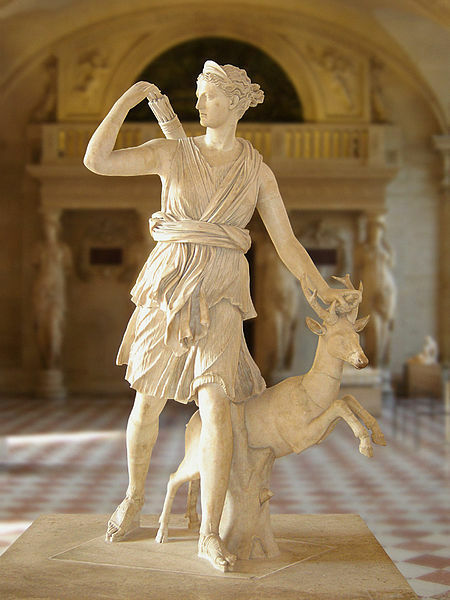 One of the goddesses that bewildered me most was the Greek Artemis, or in Roman culture: Diana. She bewildered me because I grew up in a town where pearls hung around the necks of the women who hosted garden parties and gathered children round their legs. 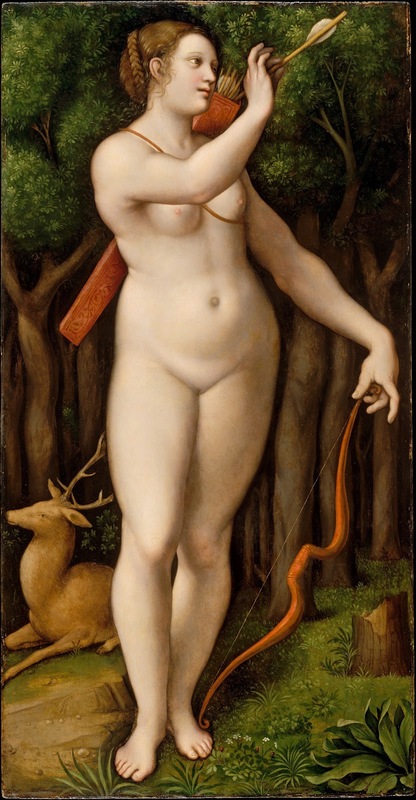 I didn’t see any women walking around with bows and arrows, not even metaphorical ones. Even my mother, who I now see as one of the fiercest and most warrior-like women I know, didn’t appear that way when I was growing up. I read her through the lenses that were provided to me and as a result she seemed more careful and cautious than bold and brazen. 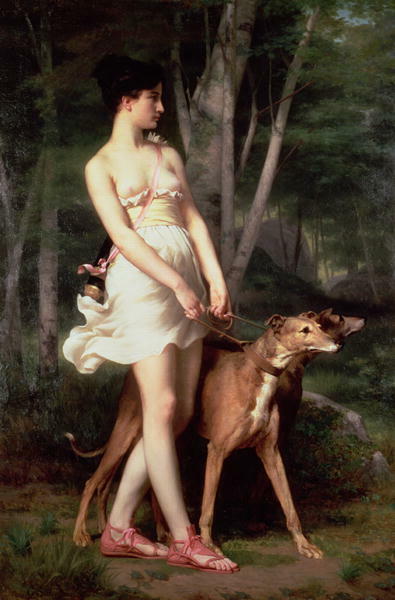 So when I first read about Diana, I judged her for what I perceived as her “overly masculine” behavior and I wondered how I could fit her into my perception of female heroines, who I had learned thus far were to be smart but not too smart, conversational but not in a way that took up too much space, and above all, beautiful. 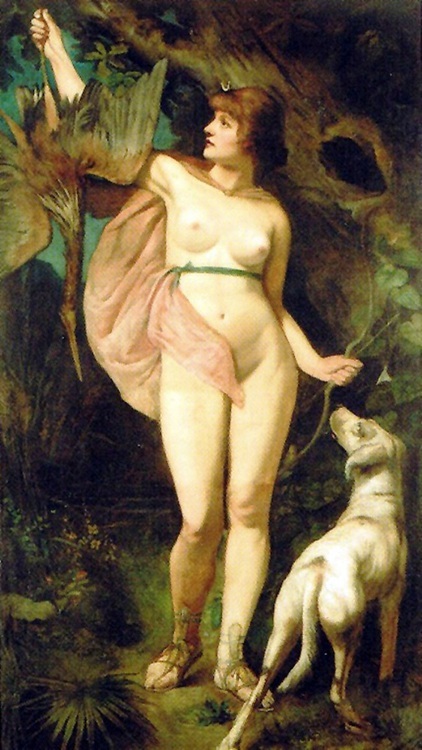 Diana is the goddess of the hunt. She is also the goddess of the moon. And she is the goddess of the process of birth. In her, the power for livelihood, for the ebbing and flowing of tides, and for the creation of new beings come together. In her, masculine and feminine energies combine, and it is this balance that gives her so much power. 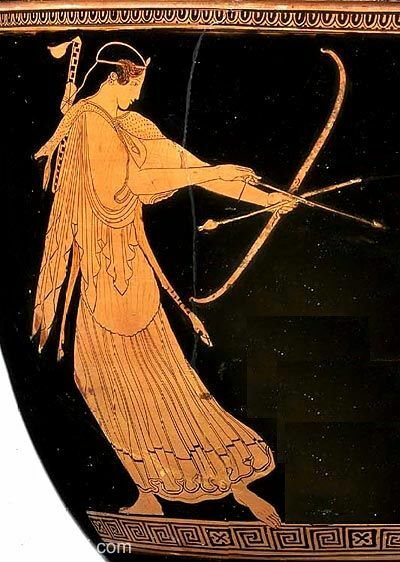 I’ve been thinking about Diana this week, not just because her name is the word for tonight’s event, but because I feel that her particular kind of warrior spirit is needed in our world right now. Hers is the warrior spirit that stands up against the would-be warriors who say that background checks aren’t necessary, that the solution to weapons is more weapons, that the solution to violence is to meet it with more violence. I’ve been thinking about her because her warriorship is not about using her power to benefit herself; it is not about killing innocents; it is not about encouraging war or bloodshed. Her warriorship is about living from the marrow of the bone, the tender tissue of the heart. Her warriorship is about expressing the fiery aspect of her being without entirely letting go of the reins. Her warriorship about being assertive but also compassionate. Her warriorship requires us not to back down from that which is right but also not to meet those who oppose us with unchecked anger. We will meet them with our minds, with the strength of our spirit rather than swords and shields, rifles and semi-automatics. In 2011, the United States’ military budget totaled 644 billion dollars. We praise our servicemen and women, but when we see images of them, we don’t so much see their human bodies as we do the items that cover them: guns, magazines, helmets. As a culture, we praise their power and bravery but when they suffer, we refuse to see their humanness, we refuse to recognize that violence does damage to everyone involved. We only honor the fierceness of these warriors without acknowledging their tenderness. In it’s most simple definition, a warrior is a brave or experienced soldier or fighter. It is up to us what we fight for. Because being a warrior at its core is not about death and is not about killing. Being a warrior is about responsible use of one’s power and energy. To be a warrior is to act with bravery and courage and to make wise choices in situations of extreme pressure. It’s not that we don’t need warriors. We desperately need warriors. But we need the kind who soldier for love, compassion, and understanding. When I was fourteen, I might have thought that a goddess could not be charged with the duties of hunting and also of midwifery. I might have seen these powers emerging in Diana as completely contradictory. But I don’t think that anymore. 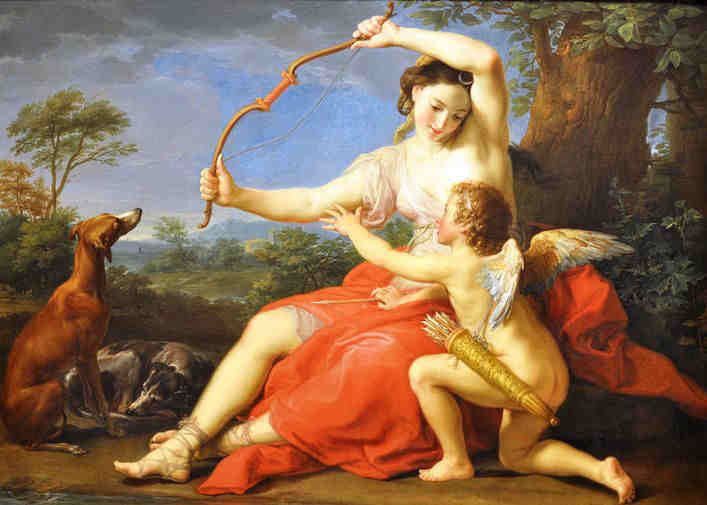 Both hunting and childbirth require intense physical and emotional strength. Both require fierceness working alongside wisdom and compassion. In both rituals, there must be encouragement, there must be patience, there must be integrity, there must be a time to hold still and a time to push forward.